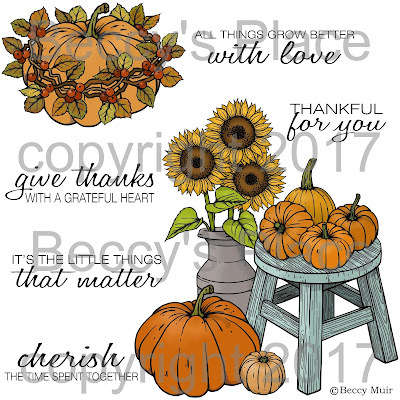 This new digital set celebrates the glory of autumn, with it's rich, magnificent colours and bountiful harvests. Perfect for Thank You cards, Thanksgiving greetings, Halloween or just to show your friends and loved ones that you're thinking of them. My designers have created some wonderful cards and projects to show some of the ways this new set can be used. Petra created this gorgeous cards using pencils on kraft. 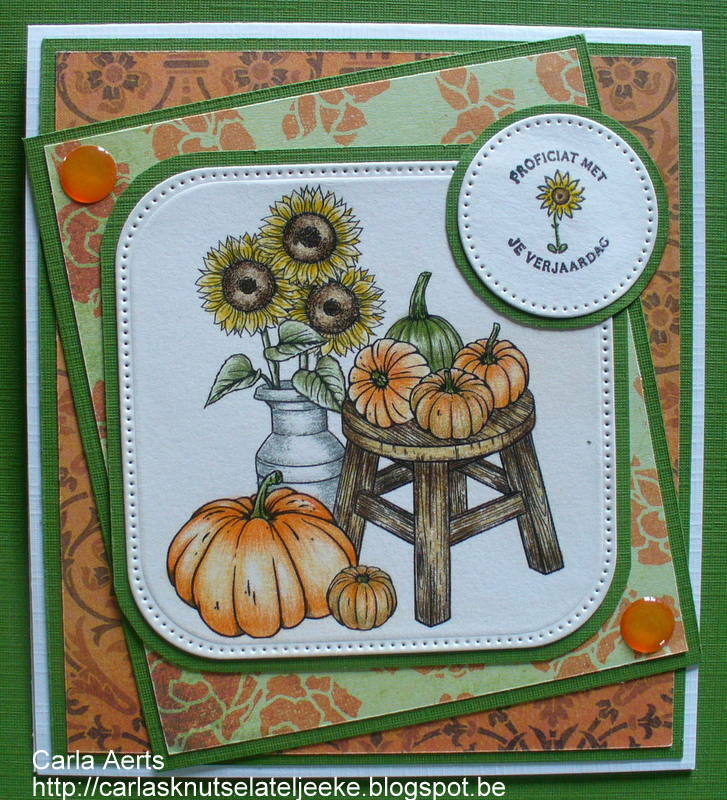 Anesha's cards feature beautiful card stock in coordinating colours. Check out the wood grain Carla created with her pencils! 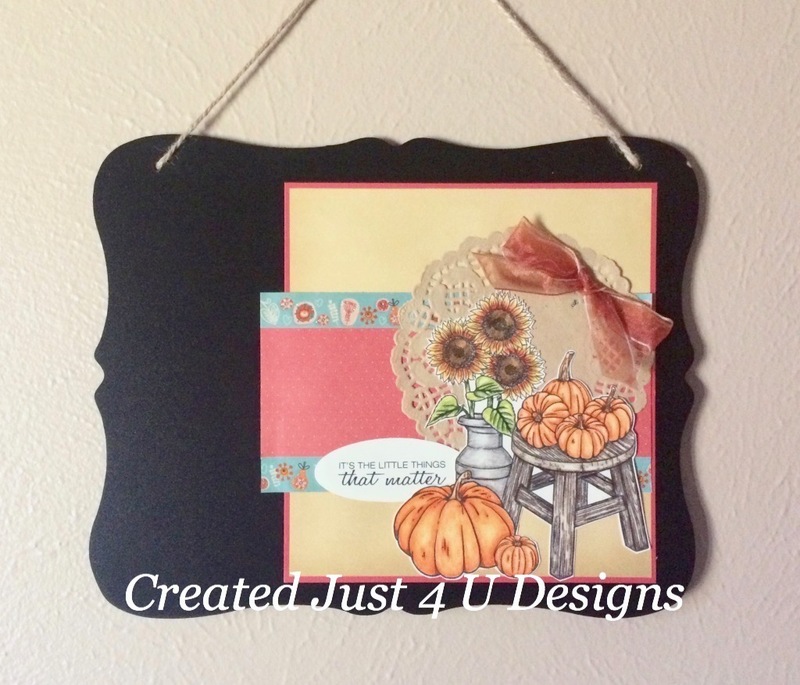 Judy created a fabulous seasonal wall hanging. 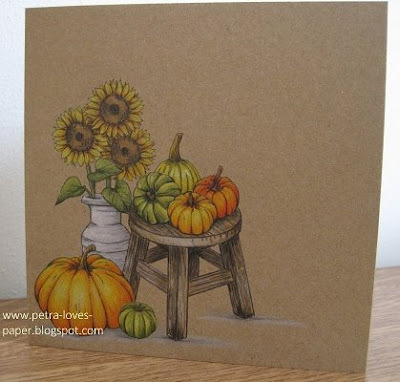 The pumpkins on Karin's card look like they're fresh from the farm.